ISO9001 - Quality Management Counts!! Rigid adherence to quality control procedures recently prevented a potentially embarrassing non conformity. Fortunately the incorrectly picked thermal camera was identified by eagle eyed packing staff. Dan from stores commented, "we realised the dome was out of tolerance when it didn't fit in the recyclable packaging material!" The MES quality manager is taking the matter up with the HR department to get to the bottom of the mix up. 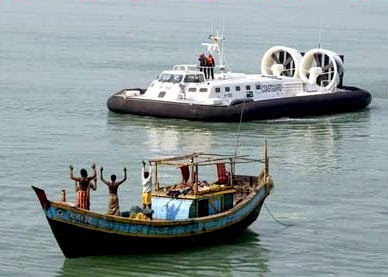 Marine Electronic Systems (MES) has been awarded a £5M contract for the mission system on 12 Indian Coastguard Hovercraft (via Griffon Hoverwork Limited). The mission system comprises navigation, communications and optical surveillance equipment. 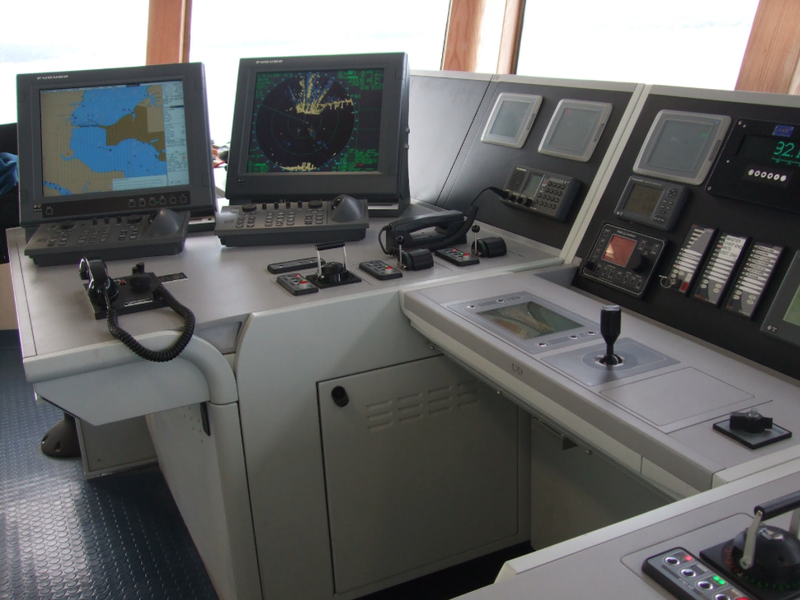 The navigation system comprises a mini integrated bridge system with radar, ECDIS and conning graphics shown on multifunction displays arrayed across the cockpit fascia in a ‘glass bridge’ configuration. 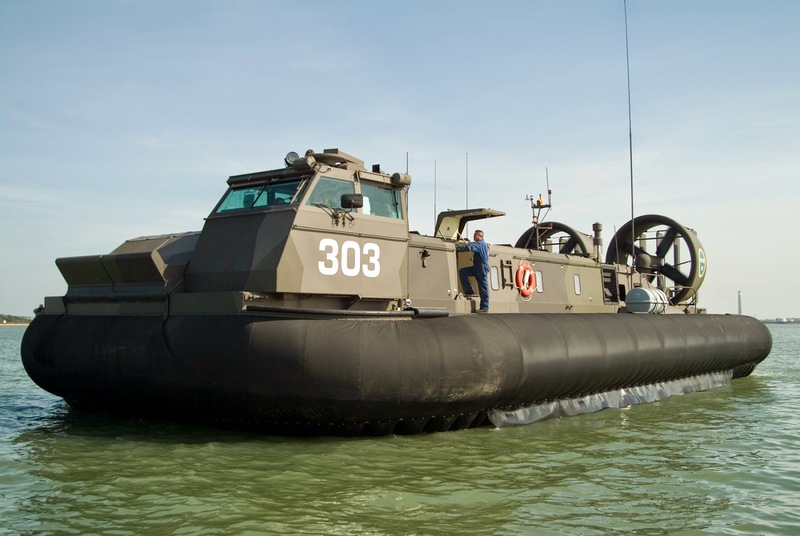 This system has been developed by MES specifically for hovercraft to assist both in the navigation and control of the craft and to provide engine instrumentation and alarms. 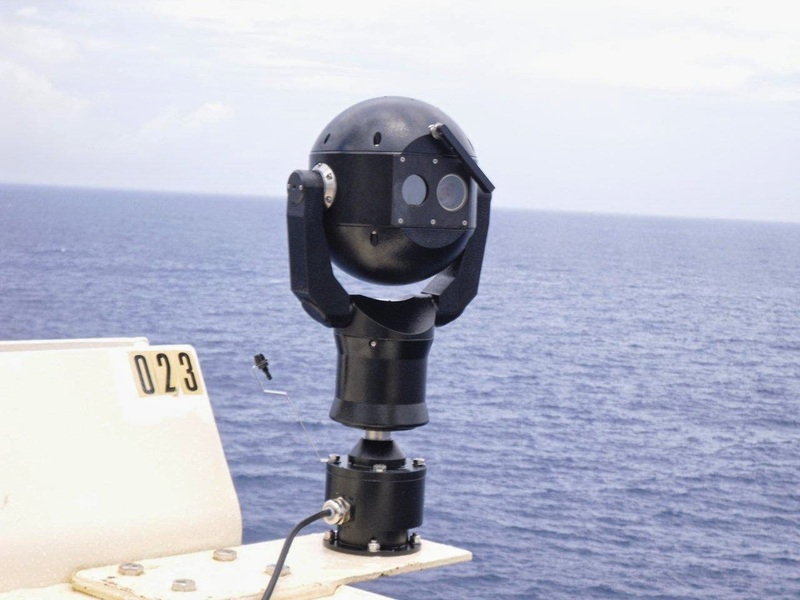 A vital part of the surveillance suite is the night vision system which is fully integrated with the navigation system and comprises stabilised, cooled thermal imaging and day/night cameras with powerful zoom capabilities to enable the hovercraft to detect and classify vessels at long range. Hovercraft can utilise their high speed to cover large sea areas very quickly and therefore are highly effective as patrol vessels. Griffon Hoverwork won the main contract worth some £34 million to build 12 of the 8000TD medium hovercraft for the Indian Coastguard in October 2010. The 8000TD is a popular craft for Coastguard operations, as it can be configured to carry passengers, vehicles and equipment for disaster relief or medical evacuation. At 21.3m in length and with a payload of 8 tonnes, it can reach speeds of 45 knots and is powered by two Iveco diesel engines. 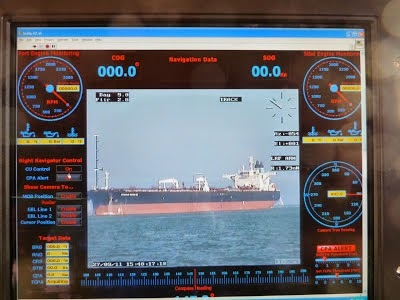 Following an attack by Pirates on a drill ship in the Indian Ocean in Autumn 2011, Marine Electronics Systems (MES) Ltd was sub-contracted by Cobham to design, install and commissioning a 360 degree surveillance system onboard the deepwater drill ship Saipem 10000. The available budget and timescale for the project was tight. 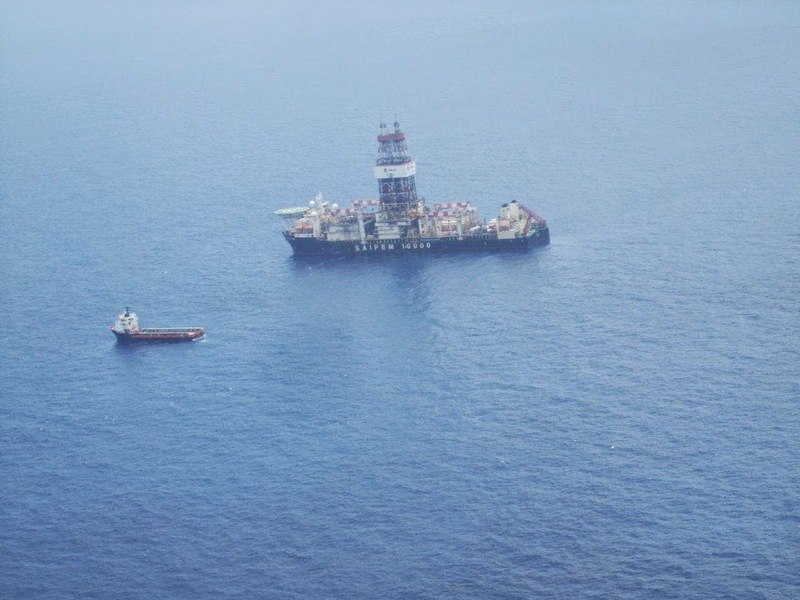 From initial enquiry to project completion and acceptance took only 7 weeks including a busy 6 days installing and commissioning the equipment onboard the ship which was located 150 miles off the coast of Mozambique. The system comprised: 5 CCD and IR Bosch cameras, 3 Furuno radars and an integrated operator station with a MES designed display specific for the ship. Fibre optic cable was used to ensure no loss in radar and video signal quality between the sensors and the central control station. Part of the contract was to develop a software solution to integrate the cameras to the radars to enable the appropriate camera to be cued onto radar contacts which enabled early identification of suspicious activity and improved the reaction time for the onboard response team. The console was made in wood to meet the short timescale for delivery and installation. The photographs show the ship, the equipment provided and Ollie Haselden who commissioned the system with Rob Potter and the Cobham team. Recently Steve Howells and Ollie Haselden from Marine Electronic Systems (MES), attended the WAVE RULER in Bermuda and the United States to identify and fix a fault in the X Band radar system. Despite several previous service interventions by local support in the US, the fault was worsening and required Steve and Ollie to sail with the ship and stay on board for 10 days until a successful outcome was achieved. 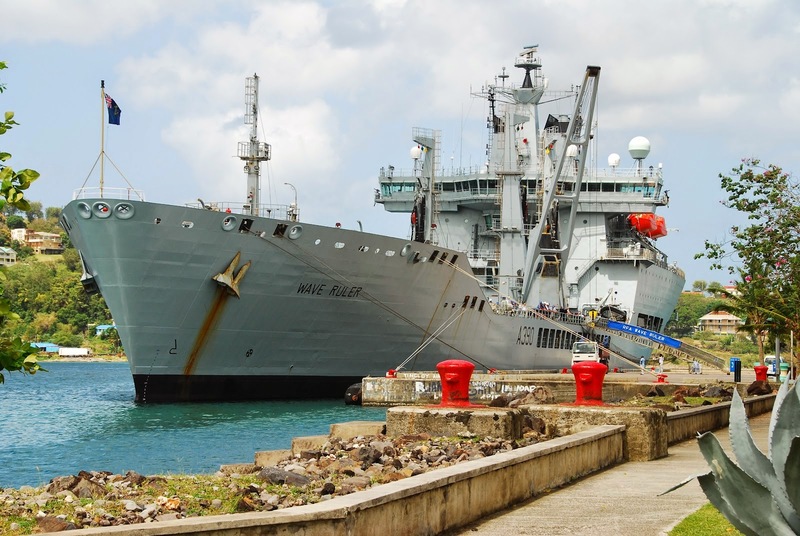 WAVE RULER is a Wave Knight-class fast fleet tanker of the Royal Fleet Auxiliary (RFA) of the United Kingdom. The photograph shows Richard Collett, one of our senior project engineers on the bridge of the BAE built OPV AMAZONAS conducting operator training for Brazilian Navy officers and crew. 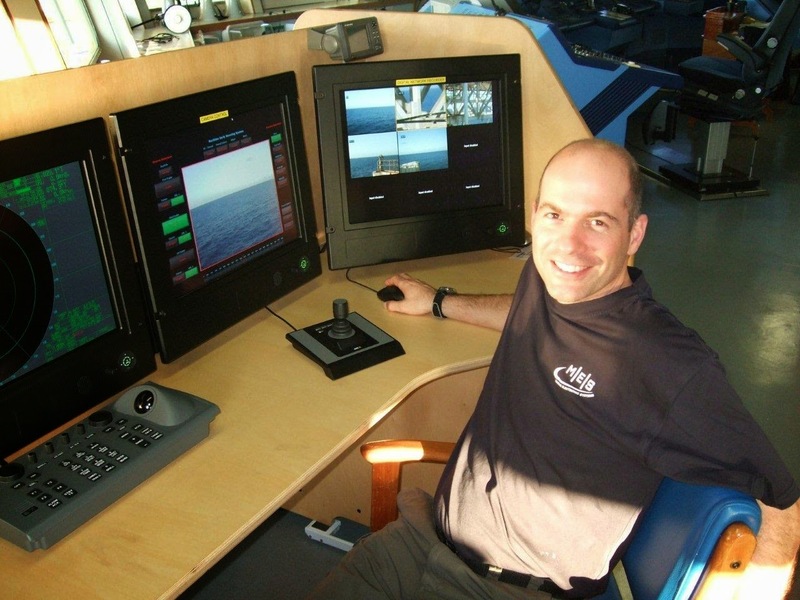 When the ships where in build, Richard was the lead project engineer responsible for the system design and commissioning of the integrated navigation suite. MES also provided the operational communications suite, a cost effective package drawing from a mixture of COTS and military radio equipment. Versatility is something we pride ourselves in but training is not really a core activity for us however, the Brazilians reported at the end of his 3 day training that it was "the best course that they had received since arriving in Britain". Ollie Haselden and Richard Collett are just nearing completion of the commissioning of the navigation and communication systems on 2 offshore support vessels in Florida's Eastern Shipbuilding. Another example of a successful collaborative project between GE Energy Power Conversion and MES. 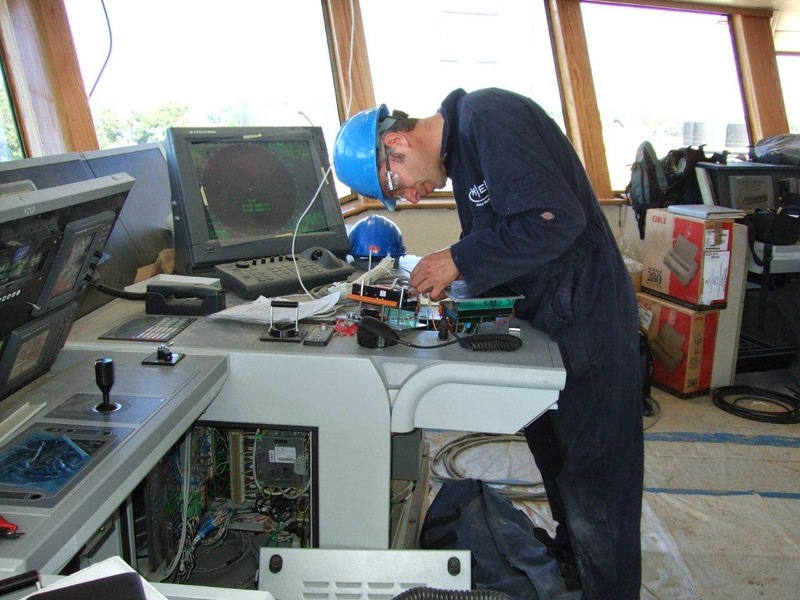 MES was subcontracted by GE to provide the bridge equipment and GMDSS and internal communications systems. The ships HARVEY CHAMPION AND KEITH COWAN will be handed over to US operators Seacor Marine and Harvey Gulf in the near future. 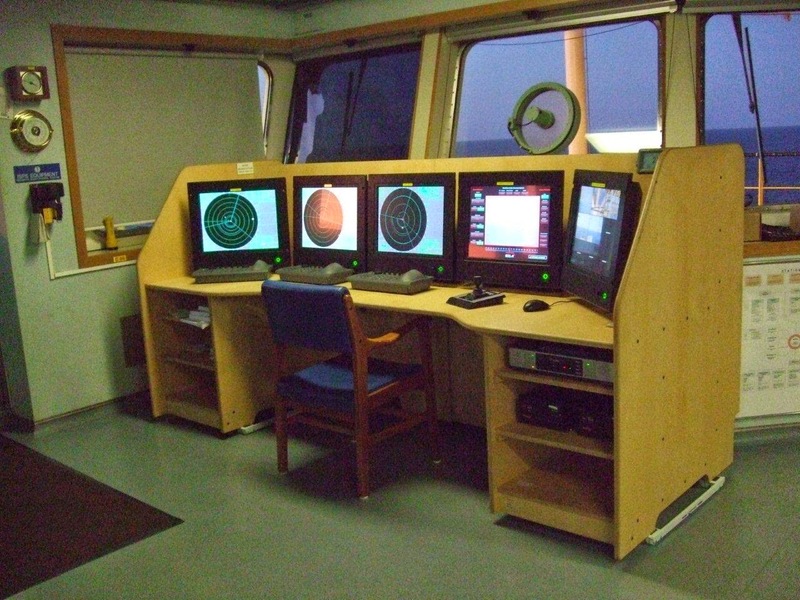 The pictures show the bridge consoles on the previous vessel in the series, HARVEY SUPPORTER. These are a variant of the GE C Series consoles which are very well constructed and laid out to Harvey Gulf's preferred arrangement. As a system integrator, MES generally uses third party products. However, to help with bridge integration of such products we developed the Navtalk data splitter unit in partnership with Andy Fairgrieve of Aditel. Andy is a great designer of interface units and the Navtalk has proved this. MES has now supplied thousands of Navtalks into the field. 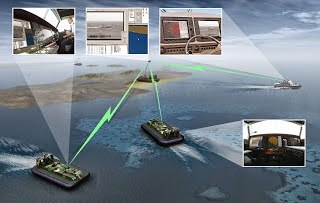 The product, which was first conceived in 1992 was designed to enable the output for a single GPS to be split to provide positional information to the new GMDSS radio equipment which, through digital selective calling could for the first time automatically transmit the position of a ship in distress. Since then, the Navtalk has evolved into widespread use as a NMEA data buffer/splitter for all kind of serial data applications and can be used for example as a gyro distribution unit, or a speed log distribution unit. The legendary reliability of the Navtalk means that it does not even need to be considered as a potential single point of failure because put quite simply, failures are extremely rare. The metal boxed version is used by some leading integrated navigation systems manufacturers. Hovercraft Owners/Operators from around the world met in September at Griffon Hoverwork’s manufacturing site in Southampton, UK for the annual Griffon Hovercraft user group conference. The meeting provides an opportunity for hovercraft users to get together to exchange views and ideas on the best operating practices for these specialized but versatile craft. It also provides Griffon Hoverwork with a forum to keep customers updated on new technologies in the field of hovercraft manufacture and operation. Mike Whitlock was invited to present on some of the latest electronic technologies finding applications in hovercraft. MES have provided the navigation and communication outfits for Griffon’s hovercraft for many years now. Mike’s presentation included information on the recently completed mini integrated bridge system (MIBS) installed on the new Indian Coastguard hovercraft and some video footage of the system in action on board the craft. The core MIBS system comprises multifunction displays showing radar, electronic chart system and bespoke conning display (produced by MES specifically for GHL to display hovercraft controls and instrumentation). A recent key additional component of the MIBS is the electro-optical thermal imaging camera system. These systems are gaining significant popularity amongst coastguard and military operators and in this instance MES integrated the camera picture into the conning display and provided control from the radar and GPS. Mike also outlined some of the situational awareness bolt-on equipment for hovercraft to allow them to operate as a rapidly deployable surveillance vehicle or command and control centre. Such equipment includes surveillance radars, situational awareness software, sensors and data communications systems such as self healing mesh networks, and use of 3/4G cellular data services to transmit a real time surveillance picture between units.